After watching the brilliant mix of horror, comedy, and satire with ‘Get Out‘, I can easily put Peele’s name up there with the horror greats such as John Carpenter, Wes Craven, and George Romero. It’s that good. I only think a handful of people have crafted such a film in which comedy and horror are so well used that you’re equally on the edge of your seat scared and laughing out loud, not from the silliness mind you, but from the perfect screenplay by Peele and its satirical elements throughout on race. 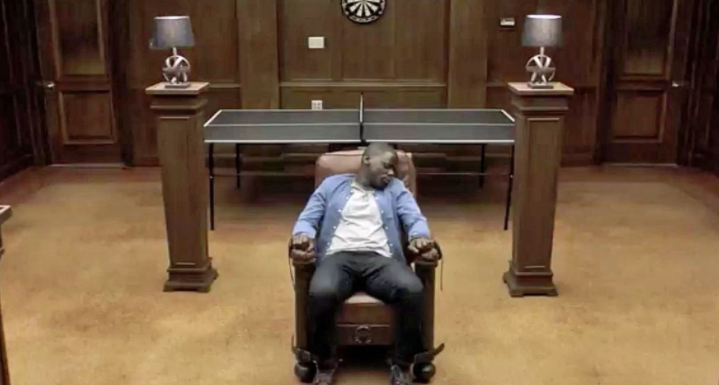 Get Out might be the most satisfying movie ever made and it doesn’t even have Bruce Campbell in it. You can see similarities to ‘The Stepford Wives‘ and Carpenter’s ‘They Live‘ here, but Peele keeps things very fresh and original as we follow Chris (Daniel Kaluuya), a young black man who travels with his white girlfriend Rose (Allison Williams) to upstate New York to meet her parents Dean and Missy (Bradley Whitford and Katherine Keener) for the first time. You might think this will go into Meet the Parents territory, but in fact, it’s a much more sadistic situation. All seems kosher up front, but as the hours go by and guests arrive at a party, nothing is what it seems to be. I always knew Jordan Peele was talented, but to switch genres, or in this case mix the horror and comedy genres in such a perfect way where the film will legitimately scare you, as well as make you laugh out loud, is something that is very difficult to do. Peele flawlessly executes the writing and direction of this film with his camera shots and dialogue. The film never strays off into side tangents and gives you bits of clues throughout, always leaving you wanting more. It never over stays its welcome either and hilariously satirizes race relations without ever being preachy. Get Out is one film that has etched its way into one of my instant favorites. Get Out comes with a 50GB Blu-ray Disc and a DVD copy of the film that are Region A Locked from Universal. There is an insert for a digital download inside. The discs are housed in a hard, blue plastic case with a cardboard sleeve. Other trailers for films play before the main menu startup. Get Out comes with a 1080p HD transfer and is presented in 2.40:1 aspect ratio. This is a gorgeous looking video presentation from top to bottom. Detail is always very sharp and vivid in all lighting conditions. The opening scene takes place on a residential street at nighttime, and it couldn’t look more perfect with the street lights giving a good shine and glimmer. The green leaves on the trees and red and brown bricks all look excellent in this nighttime scene with copious amounts of strong detail showing. In well lit situations, detail is excellent as well where you can see individual facial hairs, pores, and beads of sweat on the actor’s faces. The wardrobe shows fine stitching as well. Wider shots never go soft either, showcasing the interiors and exteriors of the country house in all its glory. Colors pop off screen at every turn as well. Inside the country house, colors are very warm and inviting, whereas when we are in the sunken place, there are some blue filters, in addition to the more sinister types of scenes. It all looks fantastic. The black levels are deep and inky and the skin tones are always natural. There were no instances of any banding, aliasing, or video noise, leaving this video presentation with great marks. This release comes with a great lossless DTS-HD MA 5.1 mix and sounds excellent throughout. For being a thriller/horror/comedy satire film, one must expect a certain sound design. You want the creaks in the floors, the loud music crescendos, screams, haunting noises, loud sound effects, and a full ambient soundscape to fully immerse you into this scary world. Luckily, this audio mix does all that. You won’t get a big blockbuster action packed sound here with tons of explosions, but that’s not the type of film this is. Every noise is perfectly balanced and layered to give a very realistic sound design. The sound effects are all robust and full, whether it be punches, kicks, kitchen sounds, or even the loud car collision towards the start of the movie. The music of the film is fantastic with a mix of original haunting musical selections and modern R&B songs. The surrounds catch all of the nature sounds and people talking, especially at the party scene. The dialogue is always crystal clear and easy to follow, and free of any pops, cracks, hiss, or shrills. Audio Commentary – Jordan Peele gives an excellent and informative commentary track here, as he discusses the tones, themes, and background information on the film. He talks about casting, the characters, and the political and social satire that the movie puts out. Great listen. Alternate Ending (HD, 4 Mins.) – Here is the alternate ending to the film, which is way different than the theatrical ending we’ve all seen. Thank goodness this wasn’t used. It’s a great ending, but the theatrical one is much better. Comes with optional Jordan Peele commentary. Unveiling the Horror of Get Out (HD, 9 Mins.) – This is a promo reel, behind the scenes look at the making of the film with on-set footage, B-Roll, and interviews with the cast and crew as they discuss the characters, themes, tones, and messages that the movie conveys. Q&A Discussion with Jordan Peele and the Cast (HD, 6 Mins.) – Set in a theater, Jordan Peele, Allison Williams, Daniel Kaluuya, and Lil Rel Howery answer a few questions with Chance the Rapper hosting the session. There are some on-set footage and clips from the film spliced in. Too short of a Q&A session here. Deleted Scenes (HD, 23 Mins.) – There are 11 deleted scenes, alternate takes, and extended scenes here. All of which are worth watching. Most of them are alternate takes of the final scene of the film where Lil Rel Howery goes over funny lines. 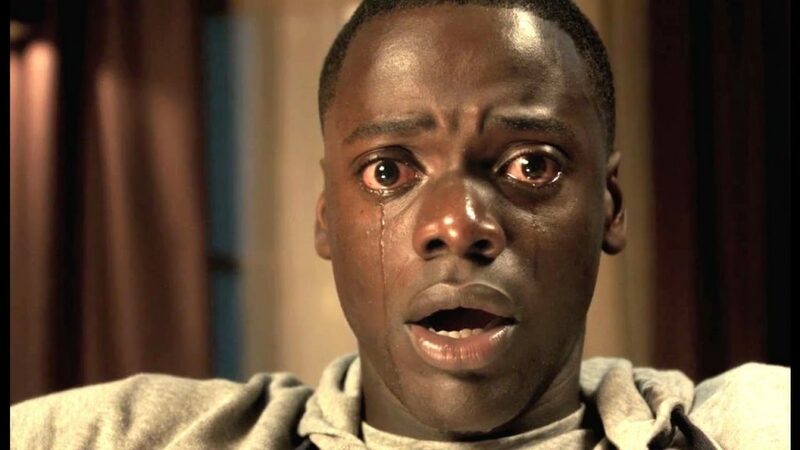 Get Out is one of the best films of the year and just hits all of the right notes from start to finish. The performances are top notch by everyone in the film and Jordan Peele just knocks it out of the park as a director, both visually and tonally. This is one scary, thrilling, and funny-as-hell film, which is very difficult to pull off. The video and audio presentations are both excellent and the extras are all worth listening to and watching, although there could be more that department. MUST-OWN! This entry was posted on Thursday, May 25th, 2017 at 9:59 am	and is filed under Film, News. You can follow any responses to this entry through the RSS 2.0 feed. You can skip to the end and leave a response. Pinging is currently not allowed.